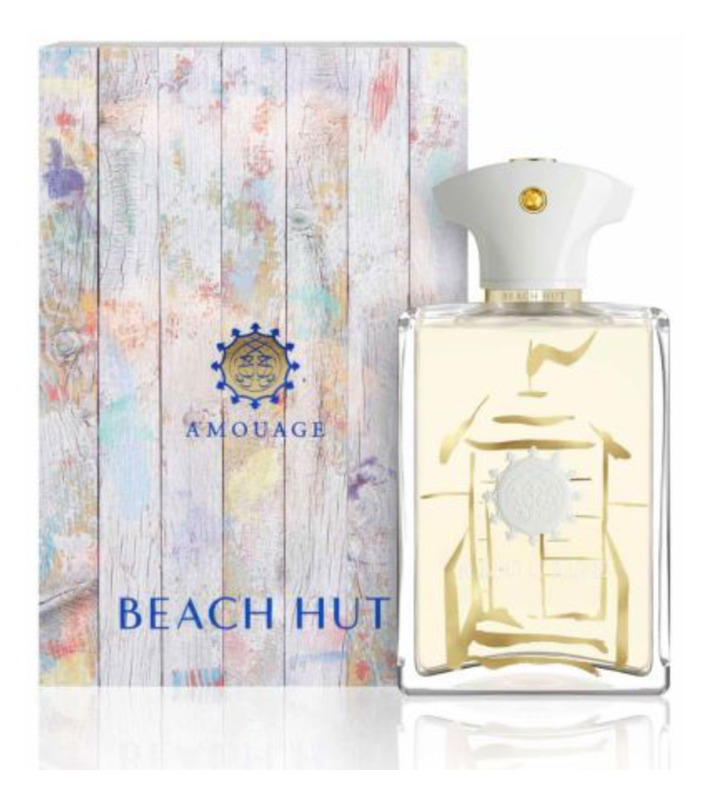 Beach Hut Man is a perfume by Amouage for men and was released in 2017. The scent is green-woody. The longevity is above-average. It is still in production. "Beach Hut Man" is an Amouage the world hasn't smelled yet. A divider before the Lord, where I can understand anyone he pushes hard against. But I like it better from minute to minute, from day to day, from test to test. Especially after a shower, when only his base is there. Then this is already a holiday dream of the highest quality. Before that, it is often a cacophony, through whose jumble one must patiently feel one's way. But a very interesting one that kept me happy and that I never wanted to give up... good thing I didn't! BHM is not North Sea, not Côte D'Azur, not Dubai and not Hawaii, not South Africa or Australia - you won't find this beach on this planet. Perhaps he can be found in a distant galaxy, which would explain his very special nature. Refreshing ivy, hot sand, tickling meadow under your feet. The air is dry, the dunes glow green. A classical vibe greets and sometimes it doesn't know where to go and what it wants to be. But fortunately he never ran completely off track for me. Masculine and scratchy, in a kind of playful, positive way. Chaos that appeals to me. Too bad I clearly belong to a minority that feels the perfumer's vision. But an empty beach is much nicer anyway... or did you run away because I smell so bad? Sillage: loose and light is different, Amouage however still "other"
Conclusion: Ferns, sun, Fougere, reed and fresh breath - "Beach Hut Man" is a lot, only no Amouage. Which isn't bad at all, though. Amouage may, can, should also experiment. Not easy, not always pleasant, but, with a little patience, a successful experiment. For a summer like no other. Bilious and dry. A pure theme scent and crossfire! I cannot wait to have the full bottle. I own a decant and the minty/orange blossom vibe is breathtaking. I cannot wait to sport this on those hot summer nights. I love some Amouage fragrances and usually in most of them I can see a lineage and consistent quality whether i like the smell or not. This is my review of Beach Hut Man, hope you enjoy. I tried this after being suggested by the shop assistant and I did not hesitate to show my wirst and spray it directly on my skin. We have been talking and talking and the fragrance was pushing very strong leaving a strong solid woody salty vibe which remembers me of Sel Marine because is something very close to being nice but has a strange smell in it. Soon the woody element becomes harsh like The smell of those benches of wood used to carry products for the stores and the supermarket, very dirty crunchy wood and not smooth at all. But the performance by the way makes you soon understand the quality of this juice which is finally an Amouage again after the last reformulations of the world most famous ones. I left on my skin solid 6 hours, but very solid hours, was a real pleasure and always there present and never getting too much close to the skin. The drydown is better. More pleasant, more mossy and warm with a light patchouly. Overall might be a mature scent but has a minty touch that keeps it a neutral fragrance, therefore not easy to fall in love with. I believe that this fragrance is unique and might appeal someone who wants something unique and easy to wear for himself but if you are just looking for a fragrance of character then You will find in this one at least one thing which you would change. Me personally I am intrigued and attracted by this negative aspect and I might consider buying a bottle. Write the first Review for Beach Hut Man!